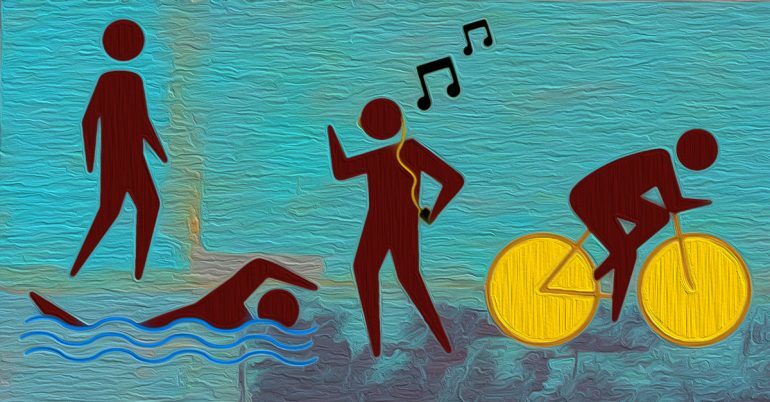 There’s more than one way to improve cardiovascular fitness with aerobic or ‘cardio’ exercise. The best activity for you and one you’re likely to stick with — is one you enjoy and that fits easily into your life. ‘WHO’ recommends adults aged 18–64 should do at least 150 minutes of moderate-intensity aerobic physical activity throughout the week or do at least 75 minutes of vigorous-intensity aerobic physical activity throughout the week or an equivalent combination of moderate – and vigorous-intensity activity. Ratings of perceived exertion (RPE) = Used to express the subjective feeling of exertion during exercise. Peak VO2. 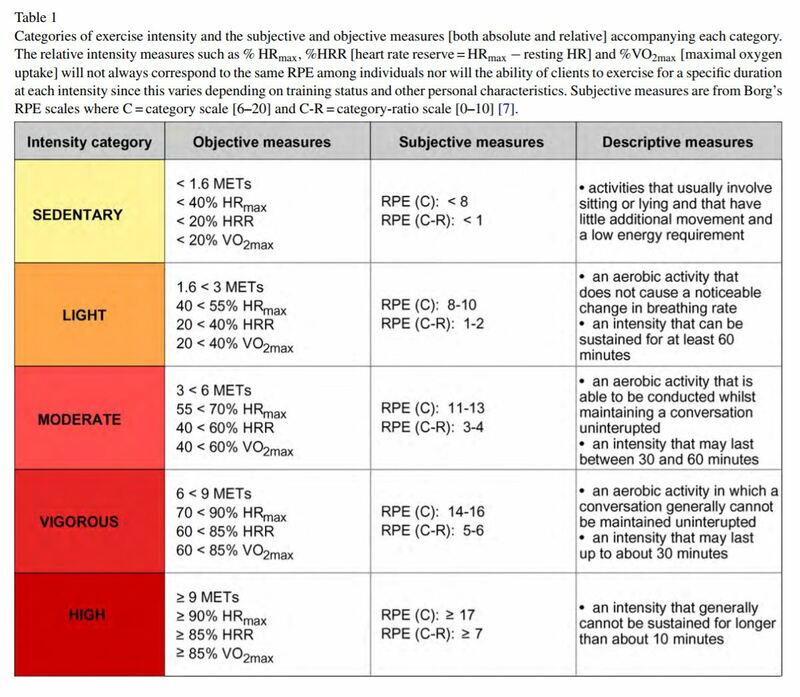 Traditional gold standard for measuring cardiorespiratory fitness. VO2 max. 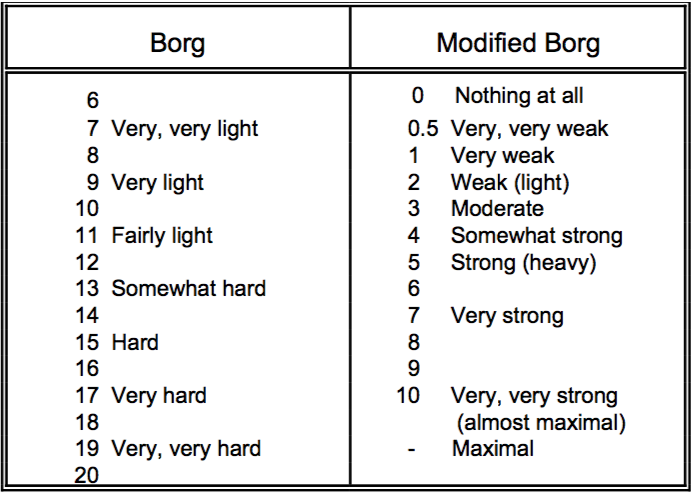 Maximal volume of oxygen per kilogram of body weight per minute. 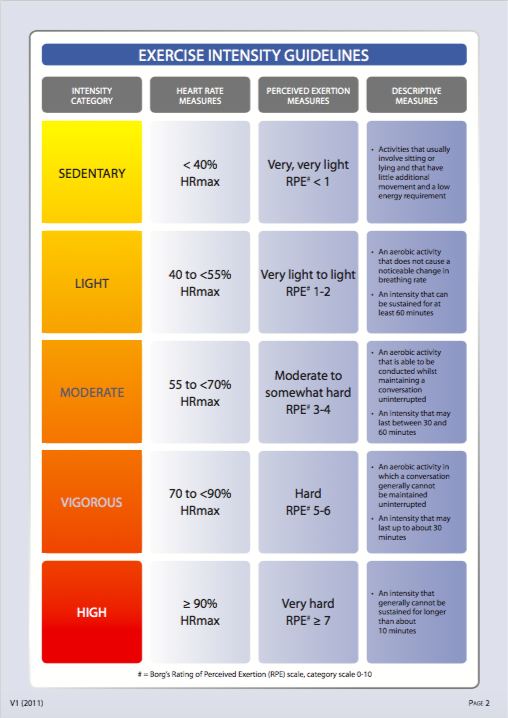 Maximal amount of oxygen that individual can use during intense exercise. Difficult to measure. As with resistance training, health professionals should promote progressive overload of cardiorespiratory/aerobic exercise to encourage physiological adaptations and to avoid training plateaus. Following continued training, the intensity or variable being manipulated needs to constantly be progressed to continue to improve aerobic capacity. Each aerobic session should consist of a warm up phase, conditioning phase and a cool down phase. – includes aerobic, resistance, flexibility and neuromotor exercise, and/or sports activities. American College of Sports Medicine, ed. Guidelines for exercise testing and prescription. Lippincott Williams & Wilkins, 2010.